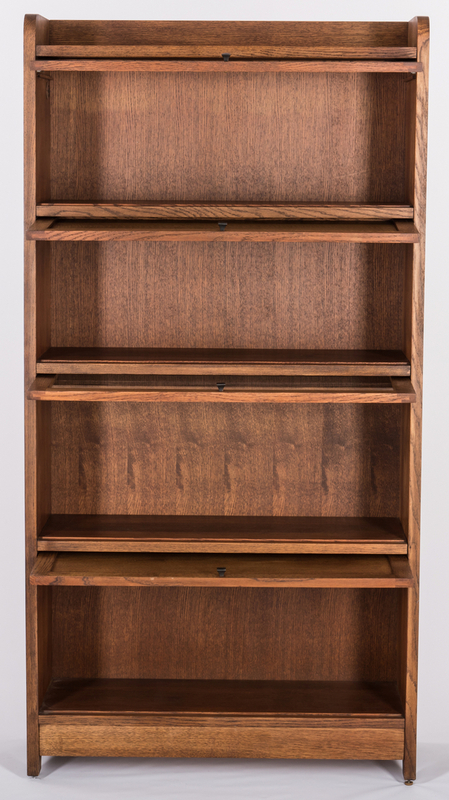 Contemporary Stickley oak 4-high barrister bookcase, with low frieze and four compartments having alternating glass and oak paneled fronts, each with single brass knob. 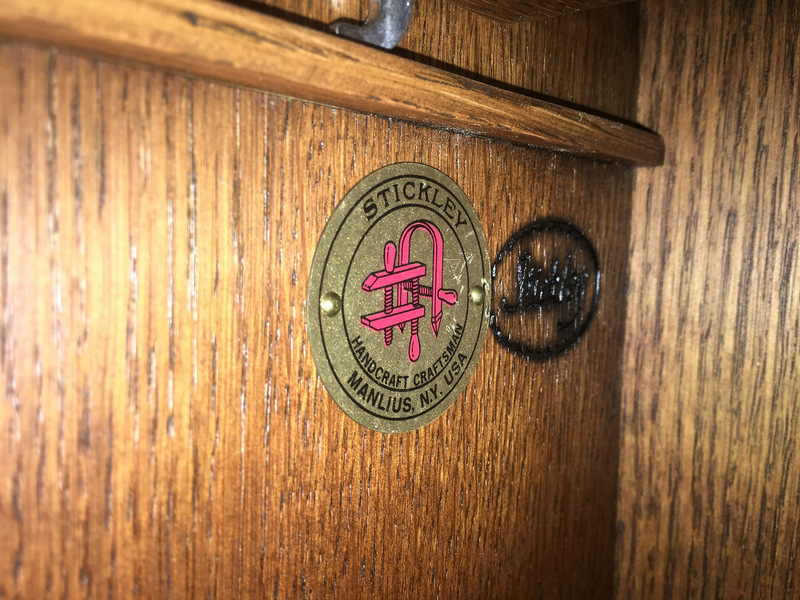 Bookcase branded upper left inside corner, STICKLEY in an oval with the round Stickley Manlius NY metal tag. 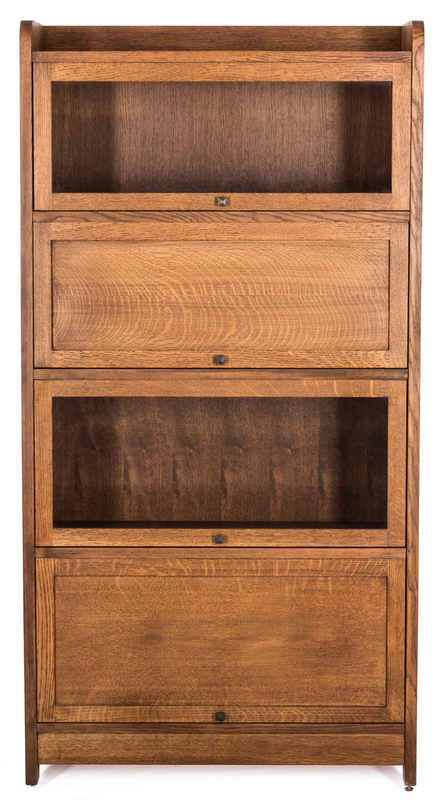 Dated and numbered on the upper back: Jan 05 2000 #32 and 891780 #, consistent with the Stickley oak 2-door glass front cabinet in this sale, both from the same estate. 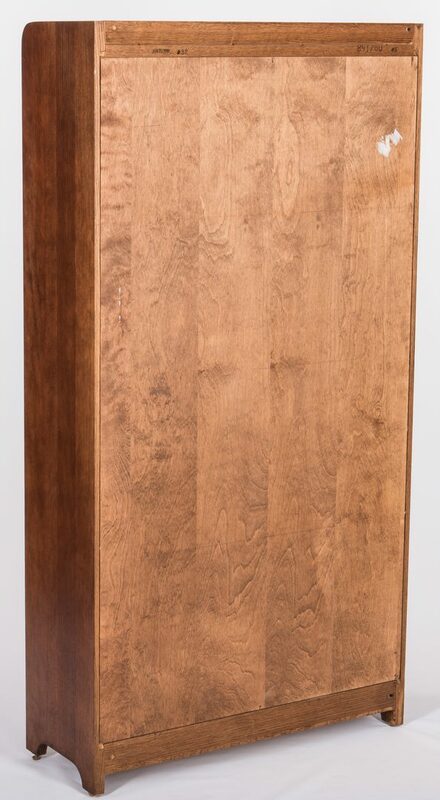 64" H x 33" W x 12-1/2" D. American, late 20th century. CONDITION: Very good condition.